Nigeria's Super Eagles have been ranked fourth in the World in the October FIFA Coca Cola Ranking. Nigeria garnered 1431 points as of 1415 it had been published in September. 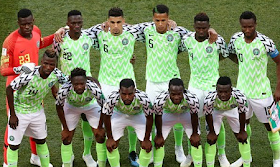 Nigeria as the third in Africa behind Tunisia and Senegal.